Your Award Winning Signage professionals! 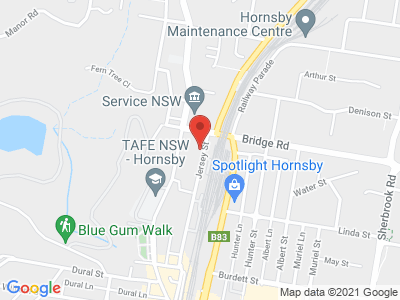 Signarama Hornsby-Thornleigh is your full service sign centre. We design, print, manufacture and install any type of signs. Your signage is limited only by your imagination. Everything from the smallest vehicle magnets to the largest fabricated and illuminated signage, we can help you. Signs are a powerful and integral part of your marketing strategy. You need expert advice that builds maximum brand awareness. Our experience in signage and the support of our National network gives us a unique understanding of your audiences and their attitudes towards signage. This is essential for brands to deliver successful marketing communications. Our signs are created to showcase and strengthen your brand and our team of signage experts work with you to discover the most effective signage solution for your business. You can engage our services with confidence, knowing that we combine the very best in branding, design, and technology to deliver you signs that make you stand out. As you drive around the Hornsby and surrounding suburbs like Wahroonga, Turramurra and St.Ives, you will find many examples of the signs that we have produced for our clients; everything from A-frames to Banners, Car Graphics to Decals, Magnetic Signs to Shop Front Signage, Signwriting to Reception Signs and Neon and LED Signs to Window graphics. Let Scott and Lana show you what Signarama Thornleigh can do to help you get more business. It's what we do! As part of the Signarama group, we are members of the world's largest signage franchise. Each franchise is independently owned and operated. It is our goal to help local businesses grow through their branding and professional signage. Drop in to our showroom and meet Scott, Lana and the team or give us a call and we can come to you.